locally known as the balingtong. Before April 5, 2013 I had never heard about the Palawan pangolin also known as the Palawan scaly anteater, known so because in the Philippines, it exists only on this island. 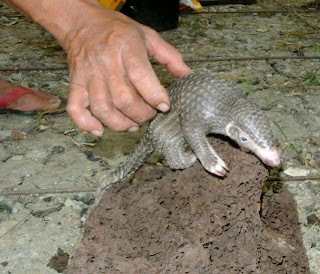 Then on April 6 a local villager brought a baby pangolin to me. He said that it's mother had been eaten and this one crawled out and was too small to eat! Imagine my horror! It looked so helpless. What is this thing?, I asked. I had never seen one before! It was a balintong they said. A scaly anteater, also known as the pangolin. It is now one of the fastest disappearing animals on the planet from illegal wildlife poaching, over 1 million of these gentle creatures have been massacred in one year alone! This animal is the gentlest of creatures. It has no teeth at all and when frightened, it curls into a ball, making it easy to capture! It's diet is strictly ants, their eggs and termites! How was I going to keep this little creature alive? 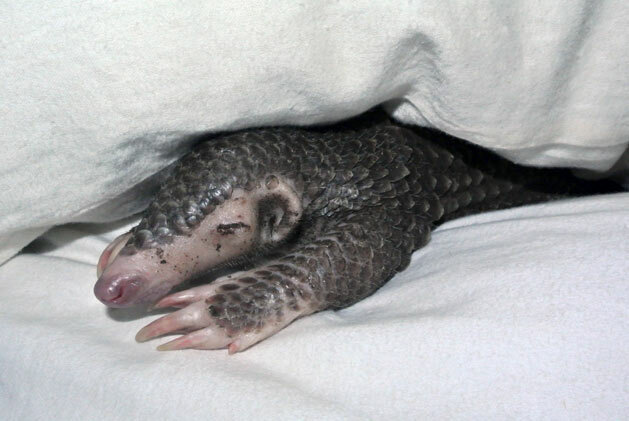 I immediately went online and found only 1 baby pangolin that was saved in South America. It was fed with an ant and termite milkshake. I tried this but this little baby would not take the milk. Our helpers had already brought in a mud termite mound from the forest, and the first night it lapped at this mound like crazy! This gave me hope. 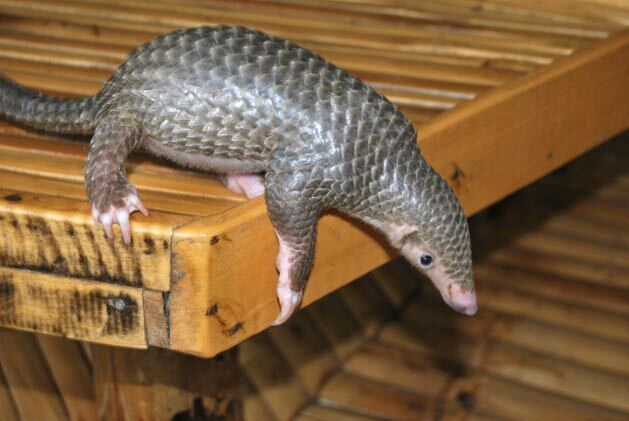 That night I researched online and found very little about the pangolin. Mostly that many are confiscated on route to China or in Hong Kong dead, descaled and sold for the bush meat market and for its scales, which are ground up into pills! Truly barbaric and inhumane. I found one place online Project Pangolin and wrote to them for advice immediately. They in turn gave me contacts at the local Katala Foundation who have been very helpful. 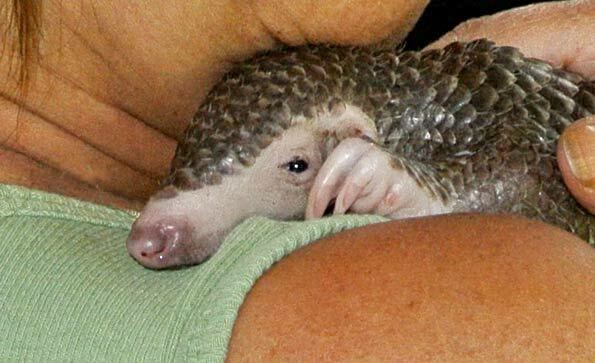 The baby pangolin's body was cool to the touch...so I let it keep warm on me for some comfort. Online I read where the babies suckle and cling to the mothers for up to 4 months. They are nocturnal creatures and feed at night. Well this little guy woke up at 2 PM hungry as hell and still would not take any milk and it stopped eating on the termite mound. Later that day our helpers gathered many termites and put them in a bowl outside on our patio. It would not eat from the bowl, but it did crawl down to the base of the cement patio and started to dig. By Jove! It found an ants nest and began lapping at them furiously. It told us what it wanted with that gesture. One of the boys named Rj, volunteered to take it around our 2 hectare property each time it would wake up and let it feed on it's own from then on. We named it Balin after the native way of calling the creatures balintong. We plan to release it when it is strong enough to survive on his own. It's a little male and we hope it will become a super stud. Here is a short video of little Balin the pangolin foraging for termites on an old log. How can YOU help? 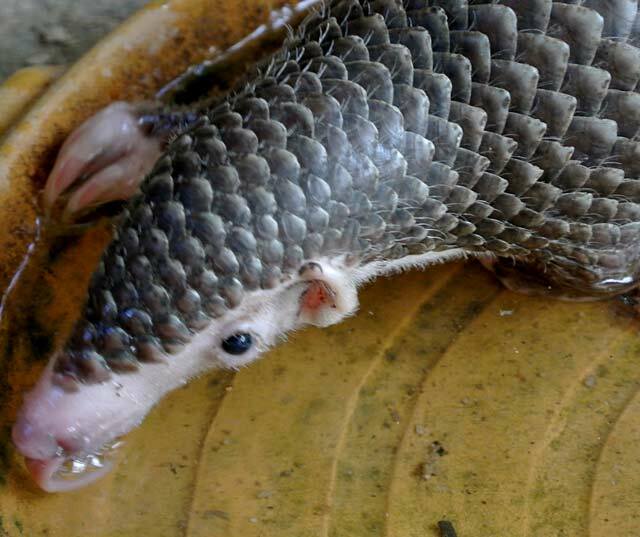 Do not eat pangolins for one, tell the locals not to eat them, since they said they taste like chicken, encourage them the eat CHICKENS which are easier to raise. 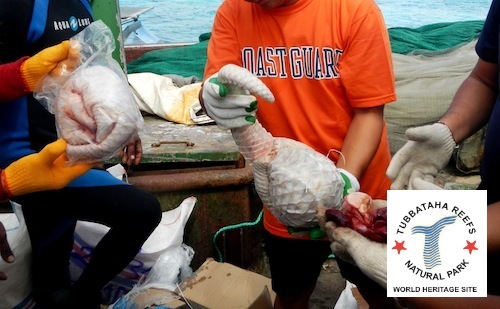 Do not encourage the locals to capture them for their pleasure or profit and if you find one and it needs rescuing, please contact the PCSD, The Philippine Council for Sustainable Development. Do not buy or sell them and if you hear of local poachers, also contact the PCSD immediately. 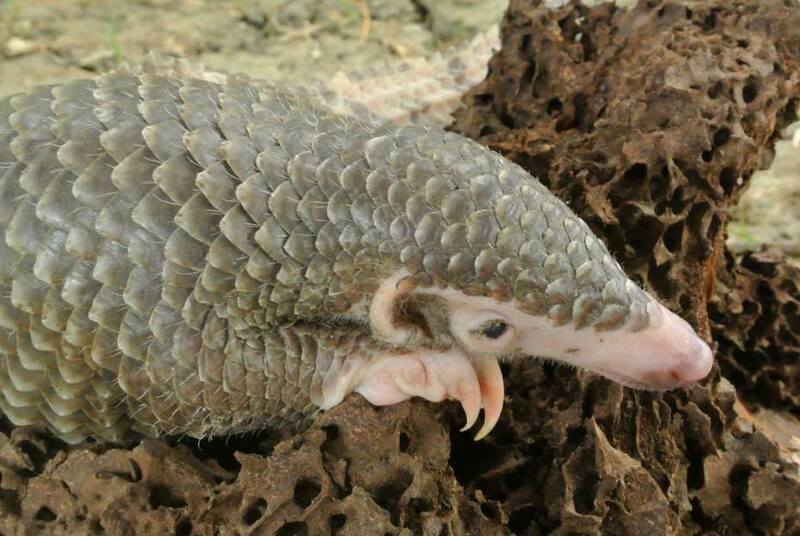 At the rate they are being captured, they predict the pangolins will be extinct in as few as 8 years. Taken May 3, he is with us almost one month now and thriving. I am now being assisted by the Katala Foundation whose main purpose is to save the Palawan Cockatoo sitting on the edge of extinction, and not being helped by a proposed coal plant in their flight path! They said as far as they know, we are the only people who have been able to keep a baby pangolin alive more that one week in captivity. They have brought us a scale and a data log to list it's activities and times it feeds for scientific purposes as very little is known about these nocturnal and shy creatures. PCSD is also aware we have the creature and will also help us in releasing it when it is strong. HELP preserve their forest environment! Help us save the Palawan Pangolin from going extinct. 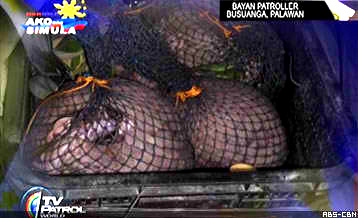 If you are from Palawan, teach your bantays, helpers and everyone how much we need them in our forests ALIVE.